The digital revolution has done a number of great things for the music industry. In recent years, music has become increasingly accessible, both in the way we purchase and consume the art. The first incarnation of the iPod/iTunes ecosystem was a major breakthrough on both these fronts, with services like Napster, Rhapsody, and Grooveshark changing the game for music ownership and discovery. SoundCloud has provided a simple and straightforward way for people to share and discover independent artists, and Shazam has paved the way for music discovery/identification in the real world. Still, for all the advances that have been made, the music industry is in a tough spot – for musicians, at least. A documentary called “The Distortion of Sound” highlights some of the troubles regarding how an artist’s work is received by their audiences. 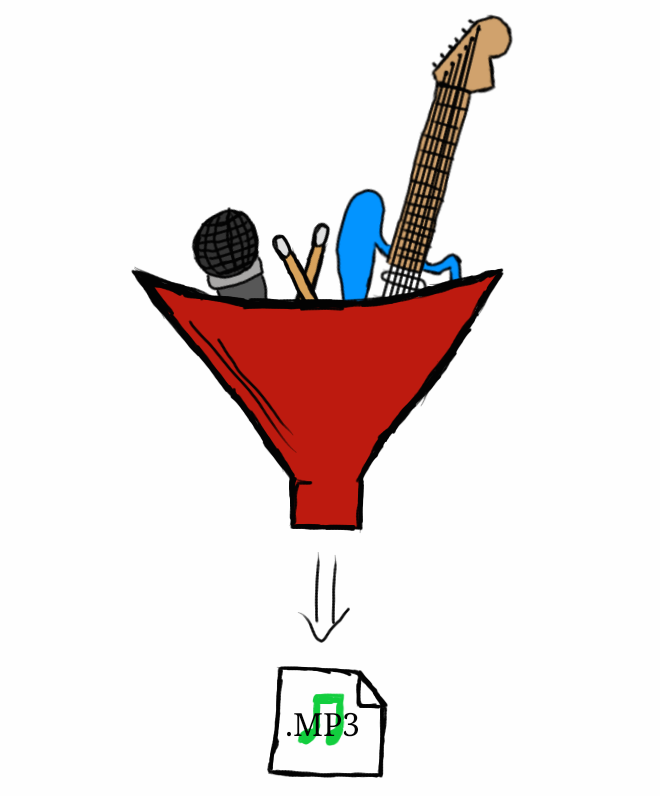 Though it misrepresents some of the technical details of the process (which is understandable, as it aims to show differences in sound quality using YouTube as a vector) it does portray the way art is filtered to adapt to the new models of consumption: valuing storage space and pure volume over sound quality and dynamics. Many of the subtler nuances artists instill in their works are never heard by most audiences, whether that be due to subpar listening equipment or albums distributed in compressed and adulterated form. We put so much importance on having access to as much music as possible, yet we never truly hear most of it. Even beyond sound quality, much of the experience built around an artist’s work has been lost to convenience. Consumers used to go to the record store and pick up a CD, reading the album notes and establishing a connection with the artist themselves. We also used to listen to complete albums more than only selecting specific tracks, if only due to the fact that changing albums was a hassle. The many factors working against experiencing recorded music in its purest form bring about an inconvenient truth: recorded music has become a commodity. Even the newest music is abundantly available through a wide range of channels, including YouTube, Spotify, and Pandora. The concept of being able to own music (though that talk has always been bogged down in licensing technicalities) has increasingly lost relevance, and there is no longer any value in having access to a specific song over any others. The economic value does not exist in the tracks themselves, but in the services provided on top of them – most notably, streaming. If the music industry is going to evolve again, there will have to be some other value built on top of recorded music. Whether that value is as simple as added insight into the production process or something more experiential, something else needs to be introduced to move the industry forward. Ideally, whatever this is could bring some value back to the artists as well, since the industry is currently not fair to those producing the art by any means.